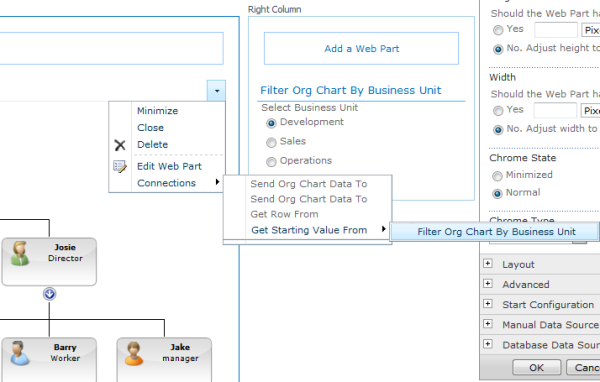 The SharePointOrgChart comes with a number of web parts to increase the flexibility of the organization chart. The Start Part is used to allow end users to easily control the start position of a chart.. In this guide the page author wants to add the Start Part to a page containing the SharePoint Org Chart. 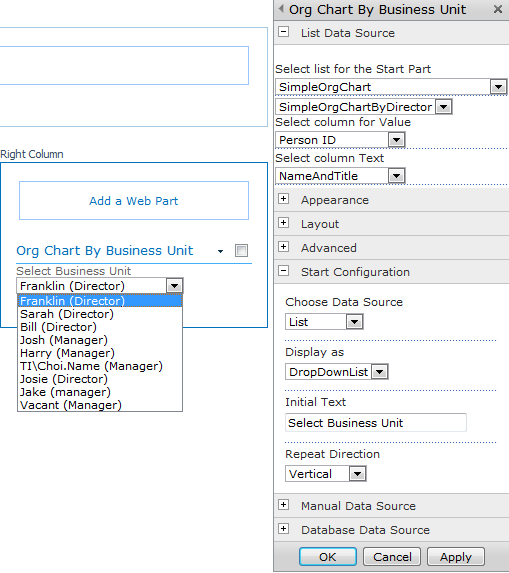 The chart in this example has been configured from a SharePoint list however the Start Part works with charts that use the User Profile Service or a database query too. 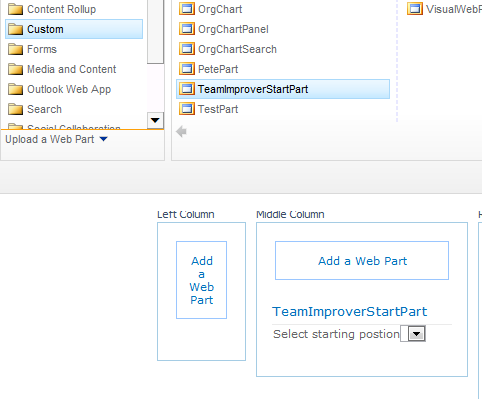 First the page author adds the TeamImproverStartPart to the web part page from the Custom web part category. 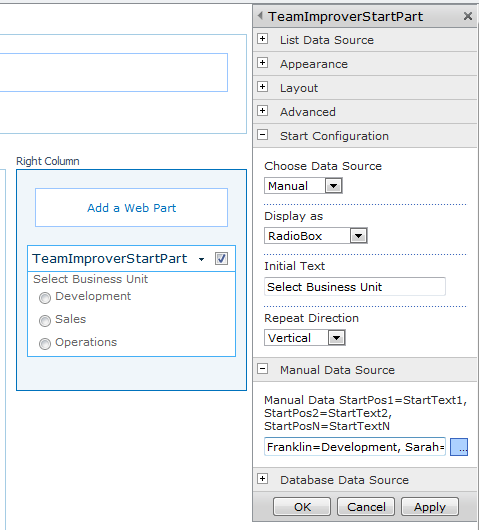 From the Start Configuration properties section the page author sets the data source of the web part to Manual by selecting from the Choose Data Source drop down. In the Manual Data Source section he enters the data vales that will be available to the end users. 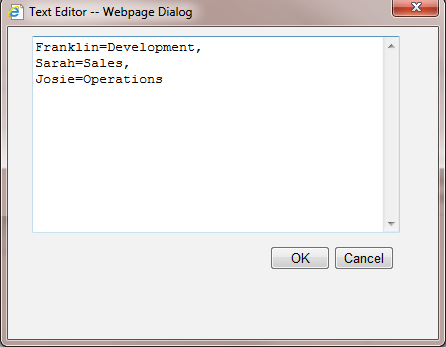 Once Apply is pressed shows the web part shows the options available to the end user. Values are the primary key values that should be used to start the organisation chart. Text is any descriptive text that you wish to display. The final stage is to connect the Start Part to the Org Chart Web Part. The page author does this by using the standard Connections menu. Now if the end user selects the option Development the SharePoint Organisation Chart receives the value Franklin and draws the chart from there. And when the user selects Operations the value Josie is passed through. By changing the Data Source to List and then selecting a List, View, a field for the text value and field for the text value in the List Data Source property section the page author has configured the Start Part to get its data from a list. The author has also changed the Display as property to DropDownList. Pressing the Apply or Ok button will make apply the changes.